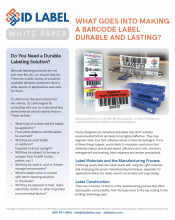 5 Key Elements of a Quality Warehouse Barcode Label | ID Label Inc. 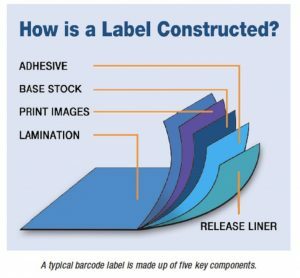 When selecting the most effective custom warehouse barcode labels for your facility, be sure to understand the key factors in your vendor’s manufacturing process that affect label quality and durability. A typical barcode label is made up of five key components. Adhesive – This is the glue that binds the finished label to a surface. Adhesives can be permanent, temporary, removable or repositionable, and formulated for all-temperature or freezer environments. “Understanding the environment in which the label will be used and the surface the label needs to adhere to are vital to selecting the most effective solution,” Aitken said. Base stock – This is the material on which the barcode and other label images and text are printed. 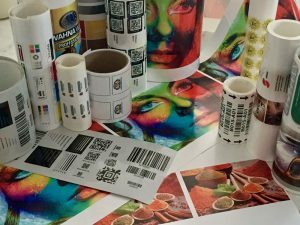 “There are several different base stocks for label applications, including polyester, polypropylene, paper, film, vinyl and metal – each of which can vary widely in their ability to withstand environmental conditions,” Aitken said. Print image – Imagery can be applied via different print technologies, such as thermal transfer (heat), laser, ion deposition (toner), aqueous and inkjet. “These methods each have advantages and disadvantages relative to print quality, durability and cost,” Aitken said. 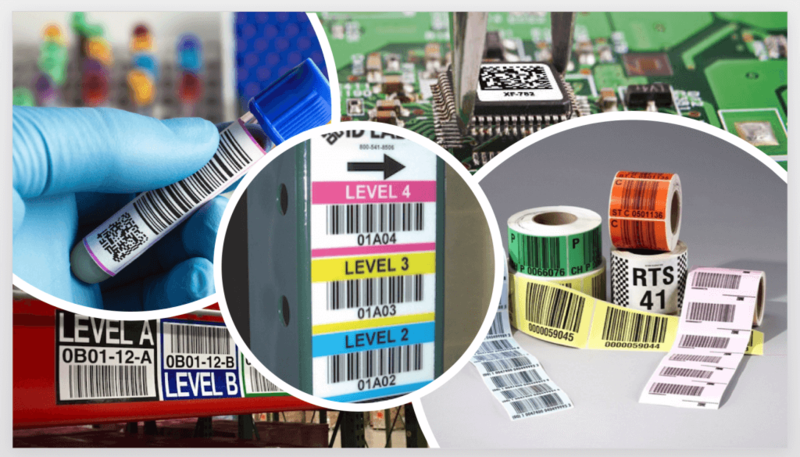 Coating – Barcode labels that are required to last and withstand daily use typically feature a protective top coating, such as a film laminate or varnish. This layer is applied on top of the print image, before labels are die cut. “Lamination or varnish coatings help protect against environmental factors like physical bumps and scrapes, extreme temperatures, sunlight and harsh cleaning solutions,” Aitken said. To learn more about what goes into making durable warehouse labels that perform to your operational standards and conditions, download our free white paper.